Power adapter features UMD graphics. Use for charging any device with USB power cord. Features a compact design perfectly convenient for traveling or storage. Choose from your choice of 5 vibrant colors! Please select option for Bulldog Head Cube USB Power Adapter. 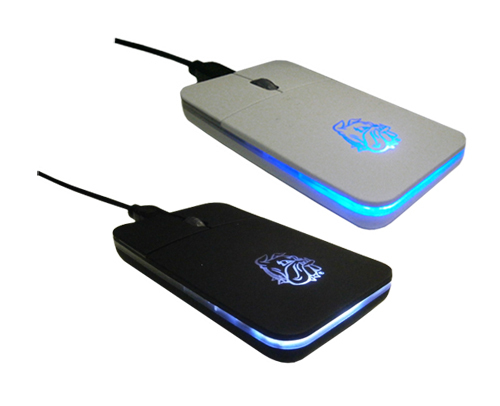 Auto retractable mini optical mouse features UMD graphics and extends up to 30 inches. Logo and edging light up when plugged in. Includes retractable USB cord and carrying case. Please select option for Bulldog Head Light Up Mouse. 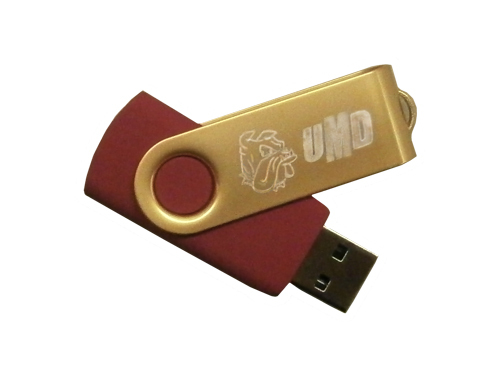 Flash drive features UMD graphics and includes black lanyard. Available in 16GB and 32GB. Also features a swivel cover for added functionality and to keep drive secure when not in use. 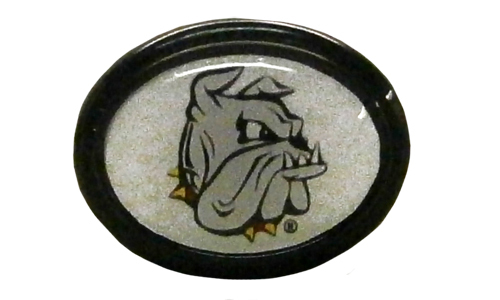 Please select option for Bulldog Head UMD USB Flash Drive. 11" padfolio features screen printed UMD graphics. Features adjustable tablet straps to fit any size tablet! Also features a paper pad, pen holder, business card storage and a wrap-around zipper to keep items secure. Designed for ambidextrous use, the paper pad can be flipped around for right or left-handed persons. DJ style headphones feature UMD graphics. Also features volume control remote on cord and an adjustable band for the perfect fit! Earbuds that feature UMD graphics. Come in your choice of black/white or white/maroon. Features 10 mm speaker, 10mW max power input, 3.5mm connector style and a frequency range of 20Hz-20KHz. Please select option for Bulldog Head Earbuds. A PopSocket sticks flat to the back of your phone, tablet or case with its rinsable, repositionable gel. 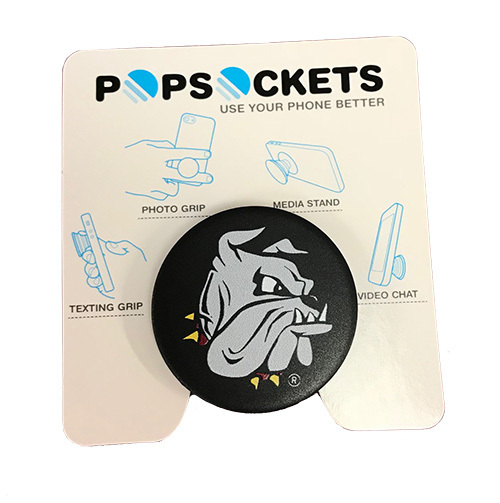 Once extended, the PopSocket becomes a media stand for your device, a photo or texting grip handle, or lower it for a video chat. PopSockets can be used on any brand of phone. A PopSocket sticks flat to the back of your phone, tablet or case with its rinsable, repositionable gel. 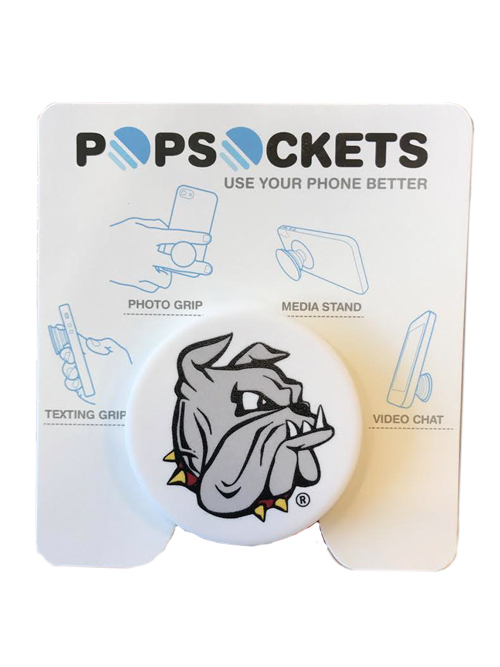 Once extended, the PopSocket becomes a media stand for your device, a photo or texting grip handle, or lower it for a video chat. PopSockets can be used on any brand of phone. Comes in black and white. Please select option for Bulldog Head Pop Socket by Popsocket. Stylus-pen combo features UMD graphics. 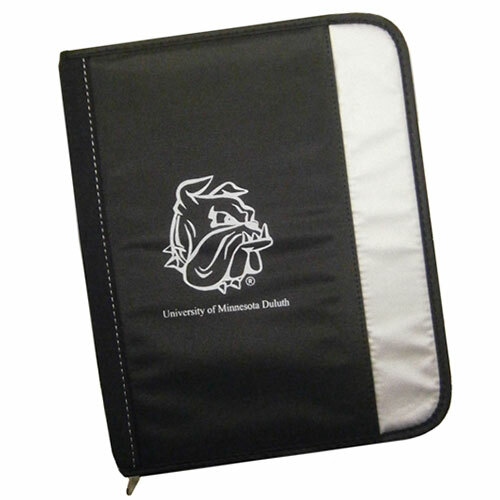 15" neoprene padded sleeve features screen printed UMD graphics and wrap-around zipper to keep laptop secure. Dual car charger features UMD graphics. Unlimited play and charge for your mobile phone, digital camera, MP3 player and other USB portables while on the road! Bulldog Head logo lights up when plugged in.